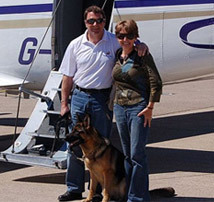 Gaynor Probert is a co-founder and Director of A1K9. She is an extremely accomplished trainer with vast practical experience and several awards to her name. She became the first woman to win the Associates Cup at the British Police and Services Canine Association annual trials and came third in the competition overall. 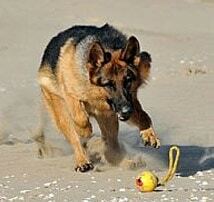 Gaynor has been central to the development of A1K9 from the start. Along with Charles, she oversaw the formation of the business and put in place the world-class training programmes and facilities that now set the company apart from the competition. Over the years her role has changed. She now takes primary responsibility for the development and training of both team members and clients, playing a central role in the handover of dogs, often visiting clients all over the world to train them to handle their new protection dogs in the correct manner. 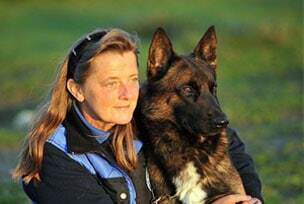 Gaynor is also the driving force behind the obedience and puppy socialization classes offered by A1K9. Under Gaynor's care and control, these classes have become very popular with local dog owners who appreciate her ability to train not just dogs but to impart her knowledge in a way that owners can understand. Gaynor is also a qualified canine behaviourist and is canine practitioner member of the Canine and Feline Behaviour Association and in 2014 was voted CFBA canine behaviourist of the year.